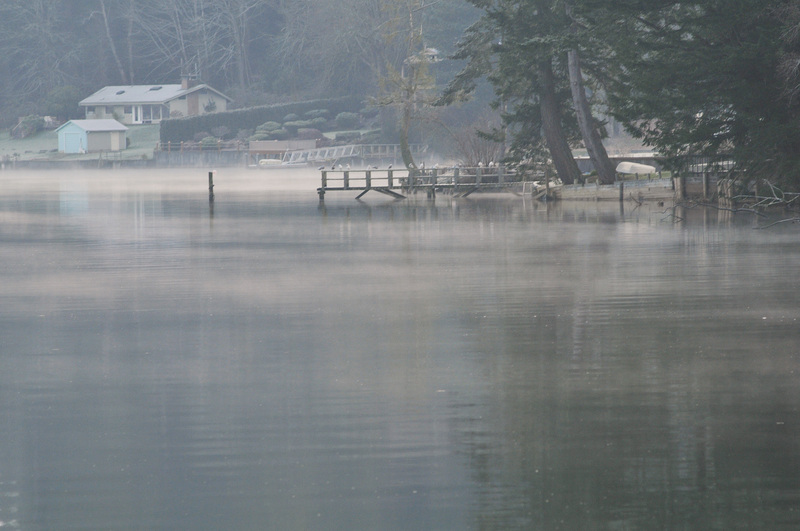 Early morning mist over Von Geldern Cove in Home, Wash.
Home, Wash., a little hamlet near the southern tip of the Key Peninsula, has always had a spot in my heart. When Meg and I drove out to see the property we eventually bought, I was taken by the beauty and unique sense of community of Home. This unincorporated area of Pierce County sits on the banks of Von Geldern Cove and is at the crossroad to Herron Point and Longbranch, Wash. It has a colorful history and a defiant sense of style. I guess its free-thinking ways is rooted firmly in its history. This move to skirt tax assessment laws infuriated the leadership in Tacoma. The mistrust this engendered never really waned through the years. In 1921, the Mutual Home Association was dissolved by a court order and the state legislature made cooperative land holdings illegal. Plots were then sold back to the residents and Home became just like the other communities on the Key Peninsula. 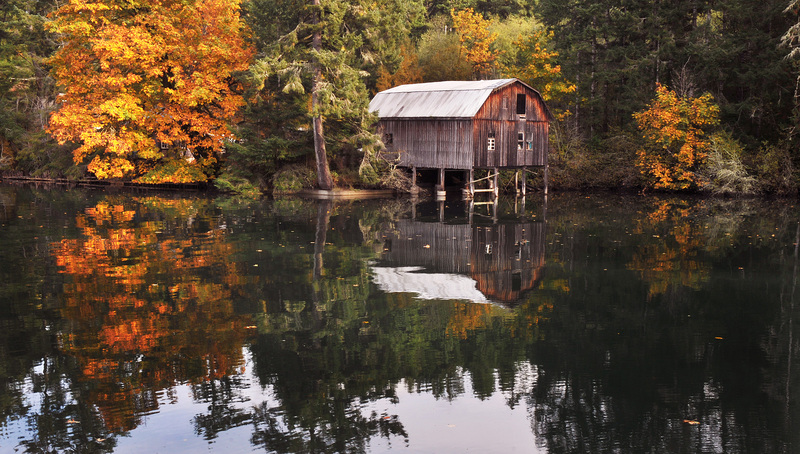 Today, the Key Peninsula has a population of 16,721 according to the 2010 census. It is also in the midst of a housing boom that is reflected in the 2.1 percent increase in new homes built since 2000. 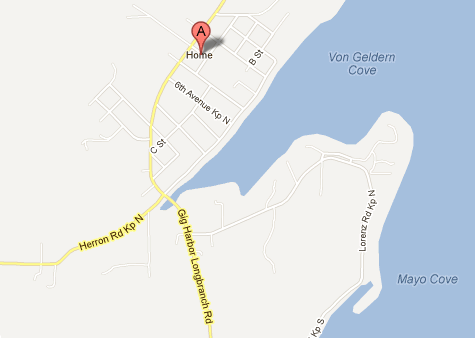 The peninsula is also seeing more educated residents moving south of the Purdy sand spit. 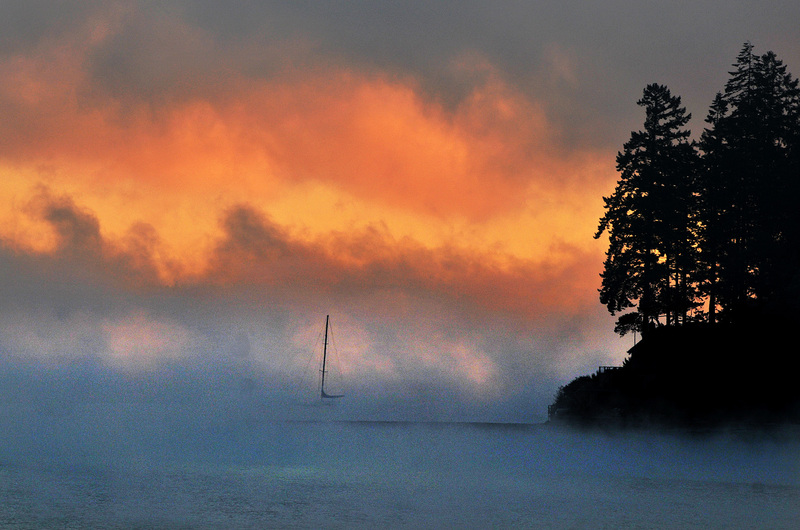 A spectacular sunrise burning through a thick fog on Von Geldern Cove. A craftsman’s work shed on the bank of Von Geldern Cove. 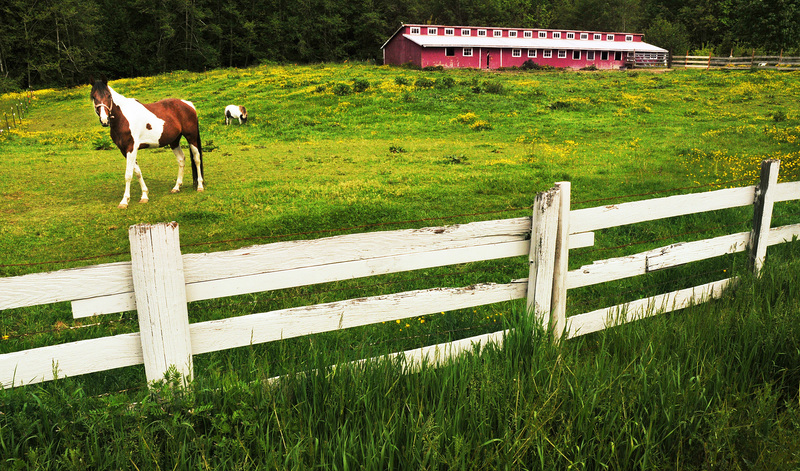 A horse in a pen along the Key Peninsula Highway that cuts through Home, Wash. 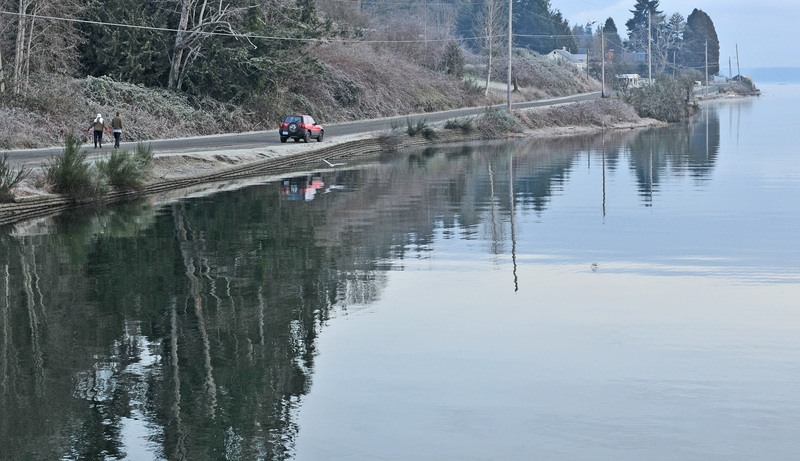 The swollen bank of the bay laps up on the sea wall along A Street in Home, Wash.